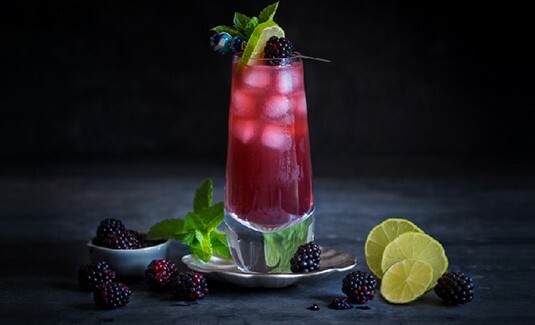 We are often asked to do the most challenging things, whether it be amazing photoshop work to produce something that does not exist, creating Christmas campaigns in a heatwave, you know the one Christmas in July, or managing a PR issue at 10pm on a Friday night (deep joy) and – not ideal – full of gin! These are just some of the things we get involved in. However late 2017, we were asked, along with our digital build partner Fish Media, to work on a new idea for the UK that was thriving in the States. The vision of our client was big, to launch a huge Ping-Pong concept, but not an ordinary one. It was to be on a grand, high end scale, with 12-14 special venues, up and down the UK, the first being Birmingham. This however needed serious investment, a huge challenge when there is not even a name, brand or an explanation for investors of what this may actually look like. Basically we had zero to work with, just 2 very enthusiastic and excitable business partners asking for our help! As we all sat around a table, and one of the partners got bits of magazines out to show his vision and tell his story, we were a little sceptical. As a small business we want to ensure we devote time into things we can successfully bring to life and of course, get rewarded for our efforts. That said, we listened intently and then decided to take a bit of a flyer, as we discovered both partners had experience in creating successful businesses. In addition, the industry they were about to smash into sounded quite viable. Prepared to invest their own money as well as bringing on board other finance, we were off brainstorming ideas, looks, types of feel, and competitor research etc to build a picture of the venture’s potential audience…off we went! After a few animated discussions, lots of chocolate and arm waving, SERVE was born. With one of the partners being from the US, living in New York, working in hospitality and a couple of Wonderland directors regularly travelling to the US, we felt the USP should be around service. In the US the delivery of ‘service’ in the hospitality sector is often better than in the UK, we’d experienced the difference. Waiting staff and hosts are paid via their ‘tips’, they are also taxed on their potential ‘tip’ earnings. Which in turn delivers extremely attentive staff for customers if they want a big tip which effectively is paying their salary. In the UK we don’t tend to do this as a rule (waiting staff are paid a wage and tips are a bonus) In the UK you are still guaranteed a salary, so the incentive to go the extra mile is therefore for some not on their radar. This means our overall UK experience of good customer service in restaurants can at times be quite wanting, leading to disappointment and venting on social media by customers. 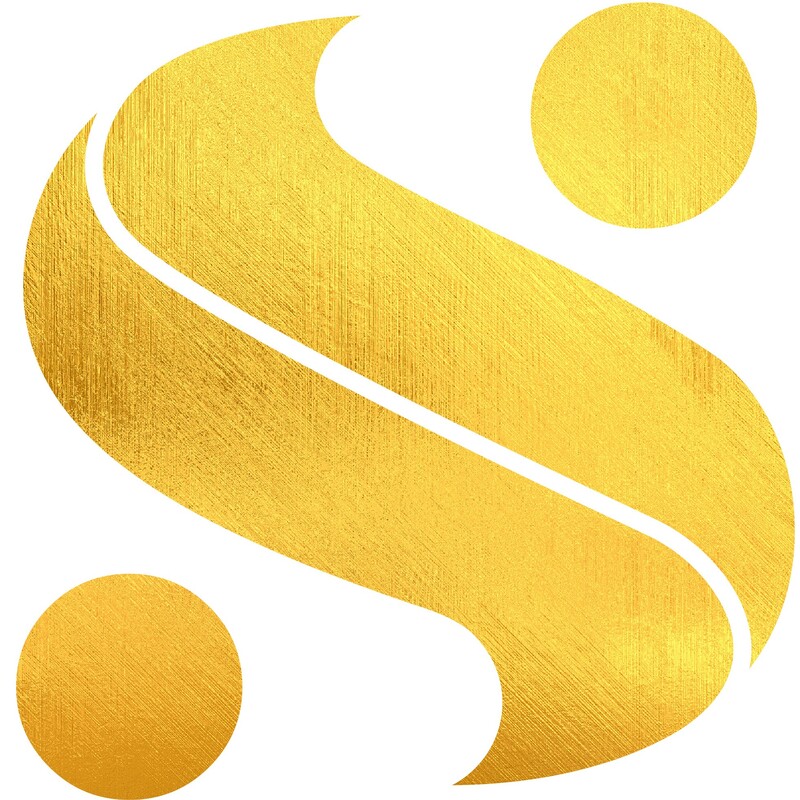 With this in mind, now armed with our research, we developed a positioning and after many meetings we had finally agreed the name SERVE and what it stood for, this giving us their point of difference as mentioned above. 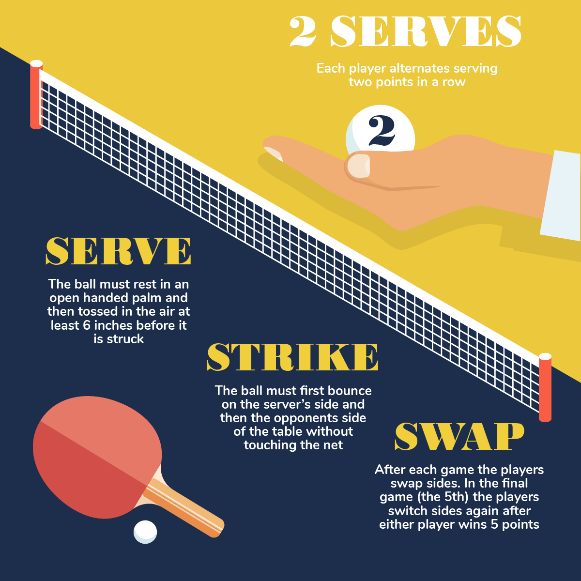 The term also linked well with that of ‘Table Tennis’, or should I say Ping Pong, which is how SERVE now refer to this fun game. We had a good position to build the brand upon, so then the cascade of requirements started to land. Whoop the vision was coming alive! Now although SERVE’s positioning going forward will always be a challenge as they need to deliver on their USP, the client felt it was possible, and they could own it too. The Wonderland were clear that how SERVE conducts itself going forward was crucial, and whilst The Wonderland cannot control this, our role was to advise and equip our client with guidelines, a TOV and supporting materials to try and ensure they have a good platform to continue from. The list of requirements was growing, and it was not lost on SERVE they needed to deliver on this USP and a great experience for their customers. Taking a slight detour here, a brand isn’t just about a logo or a product, it’s also about the team that work there (new employees in this case). A brand is about how it is seen by others and how they feel about it. How someone answers the phone to a customer, how they dress or what their uniform looks like, how they deal with a problem can all affect brand perception and the list goes on. What a client wants its customers to feel isn’t always controllable. But if a brands TOV, training and recruitment is managed well and the team buy into the brand promise then it can be delivered well long term. SERVE employing the right people in the service industry is key! The team will be the engine in a business that hangs its hat on service! So SERVE going forward need to choose and manage their team wisely in order to deliver on their USP. Next was the tagline; we agreed the venue would be aimed very much at over 18s in the evening. However, offering opportunities for children during the day we needed to have a split TOV. More edgy in the evening to that of the day, with the offering to be high end and exciting no matter what time…So ‘night or day, let’s play’ was the next piece to fall in place. This line was actually an off the cuff line I threw out on my first meeting with both partners, but it was one we all came back to and just felt right. 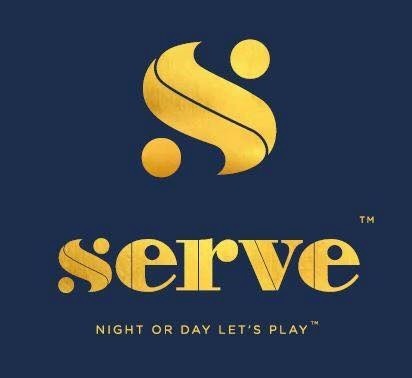 So there it was: SERVE, Night or day, let’s play. At this point we still had no agreed venue, investment or anything else for that matter. Just a name and a positioning to work towards. So from here our job was to create a solid believable concept from effectively nothing. It was all in our clients’ heads and our role was to extract their vision and turn it into a reality…It was not going to be easy, but we are not in it for easy. Well this, I think, has actually become the new norm. Maybe our own Wonderland tagline needs changing! With the offering taking shape, from great crafted cocktails, private hire in the ReSERVE, international DJ’s, mouth-watering food and endless Ping Pong, we now had something to talk about! 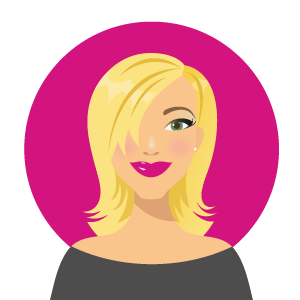 The Wonderland, worked on everything from the logo, website design, setting up of social channels, funding pack, HR handbook, signage, guidelines, copywriting, site plans, content strategy, game/prize draw, video, venue look and feel, cocktail naming, photography…the list goes on! 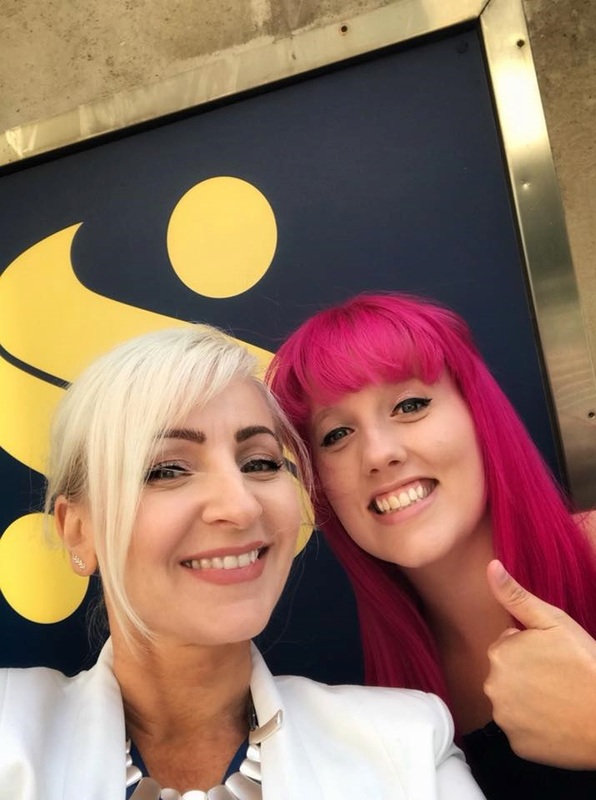 We were very hands-on and provided support where we could; we even found the right PR agency, Eden, to oversee the launch and promotion of the new venue about to take Birmingham by storm. For now our job is done, we’ve handed over the marketing reins, blog content, social channels and collateral to start SERVE off. We’ve also just launched an addictive game we designed along with the 3rd stage of the website development which agency Fish Media did all the build for. With SERVE busy recruiting as mentioned the right people and managing the huge task of creating the Birmingham venue, well the organising of its promotion, the launch gets ever closer. The SERVE brand is now managed by its founders, and its newly appointed, growing team. We wish them luck and watch with excited interest as the new venue is now well under construction! 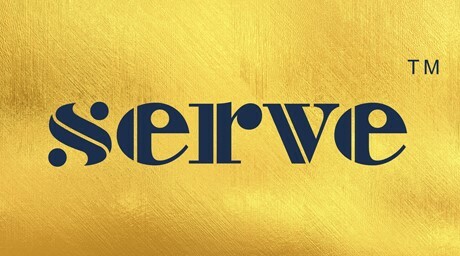 With other venues now secured, finance in place…we hope SERVE will be a brand on many people’s radar over the next few months. 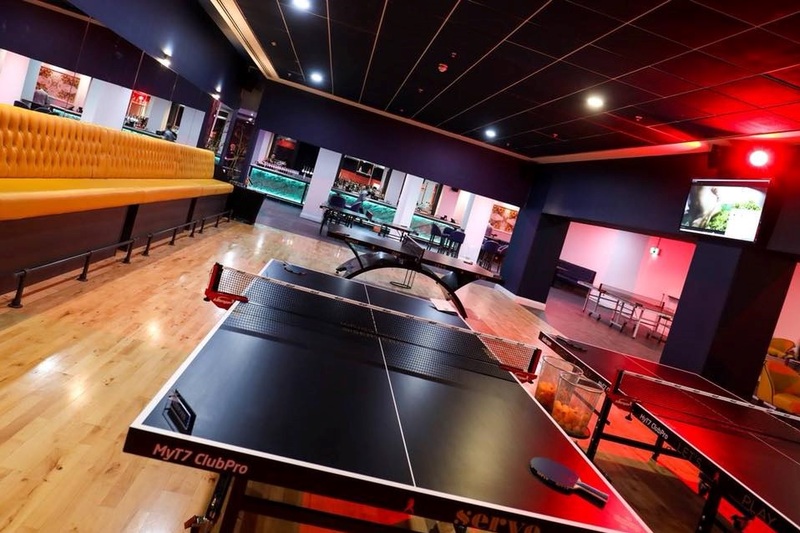 We think Ping Pong is about to get seriously cool in the UK, do you have the balls to challenge your work colleagues or mates, because there will be a SERVE near you very soon. Thursday 16th August 2018 saw the VIP launch for the flagship venue! An amazing fun night and great to see how our brand had gone from an idea on paper, to live and being used throughout the venue. 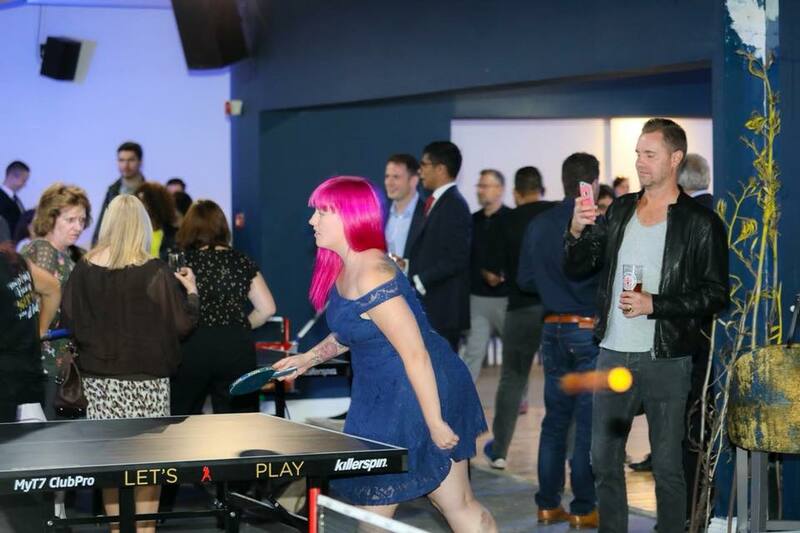 The night was a great success with lots of ping pong played and an amazing DJ! Dancing the night away with cool drinks and a top selection of foods from the menu made the atmosphere one to remember. Now the learning starts for the next venue as the doors are fully open, for you to get your game on!